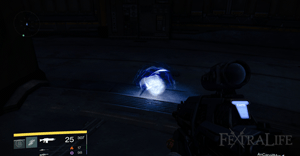 In Destiny, you will receive certain items throughout the campaign that are required for specific missions. The list below details all such items and which mission they are used for. Could it be named for the beast? The manufacturer? A material, or a particular design? Additional missions by The Tower to carry out in the wilderness. "When a Guardian's prowess in the field is required, bounties are posted here".